Beware of this cute baby boy, his middle name is danger! 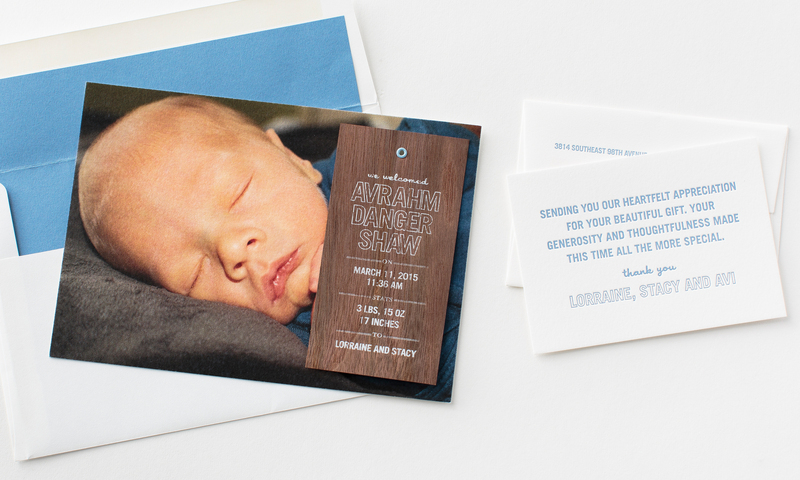 We paired a beautiful photo of baby Avrahm with a foil stamped wood tag for a stand out birth announcement. 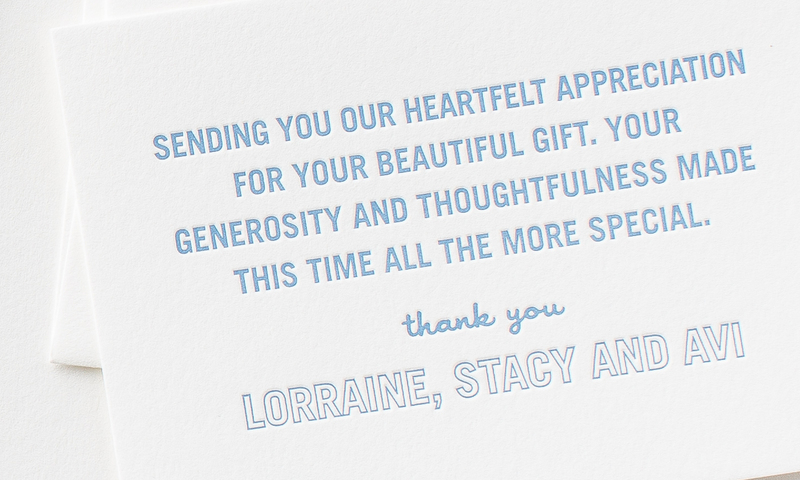 All colors, text and paper can be tailored to coordinate with your image.